The Early Years classes participated in a number of activities including colouring by numbers and a number hunt. Years 1 to 6 took part in the ‘Magnificent Maths pert club Quiz’. In the Infants, the children were in 6 teams and had to come up with their team names. (‘Jelly Welly’ was the favourite team name!) There were 5 differentiated rounds totaling 35 points. All of the children worked well as a team and were good sports when the ‘Cheese Bacon’ team won with a whopping 34 points! Well done Caitlin, Tyler, Amrik, Alfie, Naila and Veer! 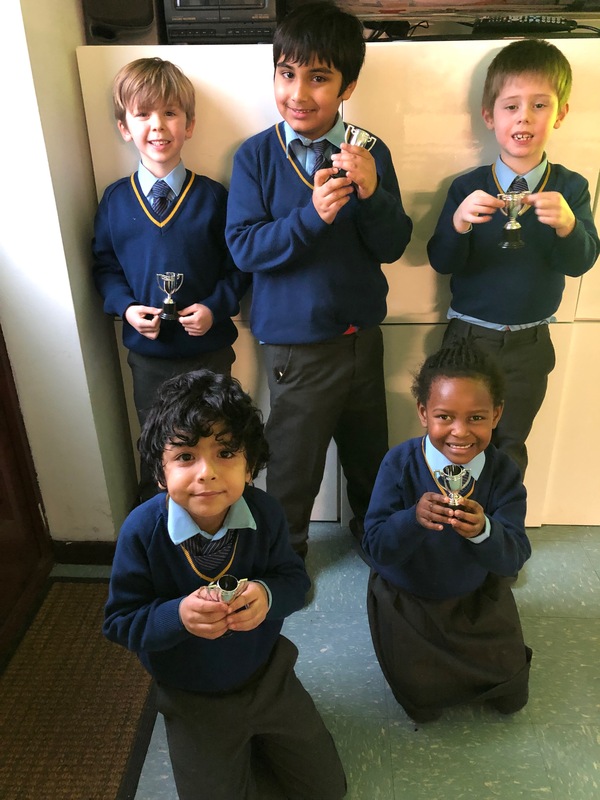 In the Juniors, the children were divided into mixed groups of ages and abilities and answered questions in four rounds: a terrific times tables round, a sensational sports round, a musical Maths round and a problem solving picture round! As well as challenging their minds, the children enjoyed some “club” snacks of biscuits and crisps! Hosted by the quiz master, Mrs Platford, the children showed huge amounts of enthusiasm, brilliant maths knowledge in different contexts and fantastic team work! The team work was especially strong with older children supporting younger children and plenty of turn taking in solving the problems. This made the staff feel very proud of our wonderful children. Winners of the Junior quiz will be announced on Monday! Well done to Mrs Dyne, Mrs Platford and Mrs Oliver for organising the NSPCC Number Day activities.